Is this correct? The bike was a Japanese import when it was 5 years old. Looking on Fowlers website they only list a 122 size for all countries but their schematic drawing doesn't show the metal plate in the inlet rubbers. Input your details on this site and you can order what jets you like. I did look at them as I was gonna order a set but didn't bother in the end. Jet kits for yours here. The carbs on the later bikes are different to mine, never seen those metal plates before. I agree with Hawk. I've never seen them before. Not sure why they would want to restrict air like that. I bought it fitted with a Laser 4-1 exhaust & when I removed the air filter the one end of the filter was blanked off with gaffer tape. 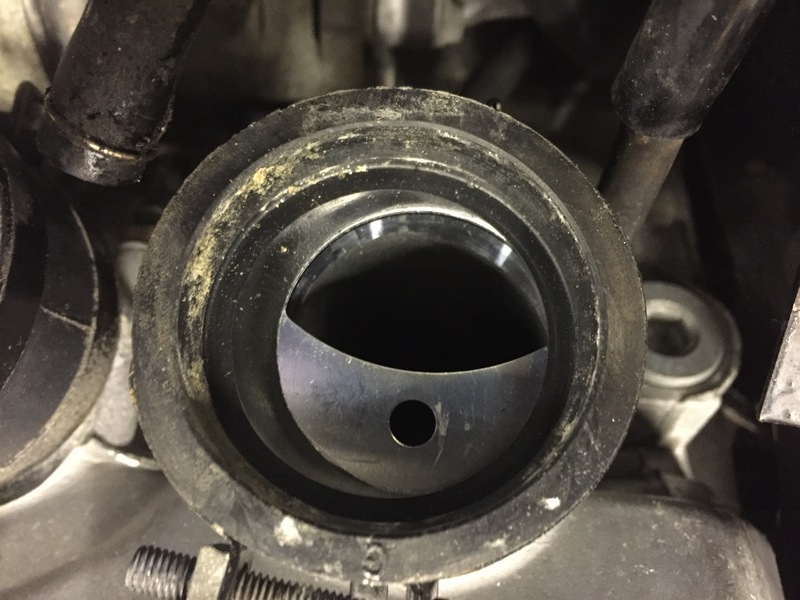 I did a service & put new filter in & it wouldn't pull past 4000rpm. Replaced old filter & it was back to normal, not perfect but better. I'm going to replace the 4-1 with Black Widow stainless headers & original mufflers but thought I'd have the carbs cleaned so I knew everything was spot on. It must be a Japan emissions thing I guess - small jets & restricted inlets. It might be too fast when I get it running right? Sounds like the California strangle, standard jet 122, lean from factory, plates sound like California only model, only about 100hp rest of world 130hp, do a search on this site for removing restrictors. Thanks for your replies, all the stickers on the bike are in Japanese and there's a Japanese bike shop sticker on the rocker cover + tail fairing. Is Japan a low power version? Do you think the cams might be different from a full power version? Is there a list somewhere of Country specific models and their differences please? I doubt very much that a California model would find it's way to Wales, so I think that rules out emissions control. I'm not sure if Japan has power restrictions, but it wouldn't surprise me if they did, there were also parts of Europe where restrictions apply. I think if you're reverting back to stock exhaust, then I would fit standard sized jets and remove what appear to be restrictor plates. I thought of this thread yesterday while watching the Daytona 500, which is a restrictor plate race. Maybe this bike was set up for some weird kind of racing class at one time? Quick Reply: Main Jet Sizes ?